Phil Hohnstein was born in Portland, Oregon to George and Elisabeth Hohnstein, Volga Germans who immigrated to the United States in 1909. He had three older brothers; John, George, and Henry. Phil proudly served in World War II in the Pacific Theater. 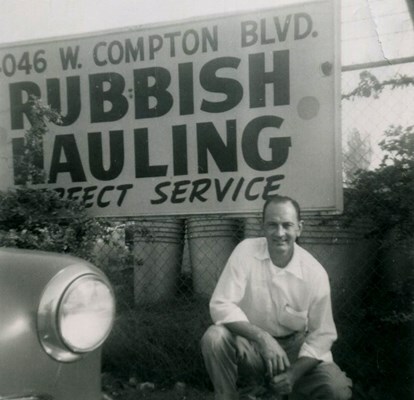 After the war, he returned to Portland and worked at the family rubbish hauling business. In order escape the Oregon winters, he traded the cold for sunny southern California. Once in California, he went from a one-man-one-truck operation to a multi-million dollar waste and recycle empire. He married Dorothy J. Fowler and had two daughters, Belinda and Dianna. He was a respected and firm businessman, an innovator, and a great philanthropist. For the last twenty-two years of his life, he was married to Irene Jahn, who preceded him in death. He had six grandchildren that he cherished. He was a beloved father and grandfather. He was generous, supportive, and loving and he will be greatly missed.